Daiwa PI Partners, a subsidiary of Daiwa Securities Group Inc, has announced an undisclosed investment in Yangon-headquartered Royal Golden Owls Co Ltd (RGO), which operates online e-commerce marketplace rgo47. The investment, which closed on March 14, is the fifth private equity deal in Myanmar for Daiwa PI Partners. The investment size in RGO is likely to fall in the range of $2 to $7 million. The PE firm typically invests around $5 million-$10 million in its target firms. rgo47, which is into lifestyle and fashion products, claims a network coverage across 230 cities in Myanmar. Established in December 2013, RGO is led by its CEO Win Nander Thyke. “The funds raised through this financing round will be utilised for further expansion of the e-commerce marketplace business,” according to the announcement. In addition to financial support, DPI will hold a board seat in RGO. Looking forward, RGO said, it will continue to expand its product base further to improve customer choice. In its first deal in Myanmar, Daiwa PI Partners invested $6.26 million for a 10 per cent stake in ICT service provider Frontiir Co Ltd.
Daiwa PI Partners followed it up with a $5-million contribution as part of the $14.7 million investment round in Oway, a leading travel company from Myanmar. Other investors in the round included IFC, Belt Road Investment Group, NSI Ventures and Cambodia-Laos-Myanmar Development Fund II LP. In November last year, the PE firm bought a stake in Rent 2 Own (Myanmar) Ltd, a motorcycle rental service by buying out an existing shareholder in the company. 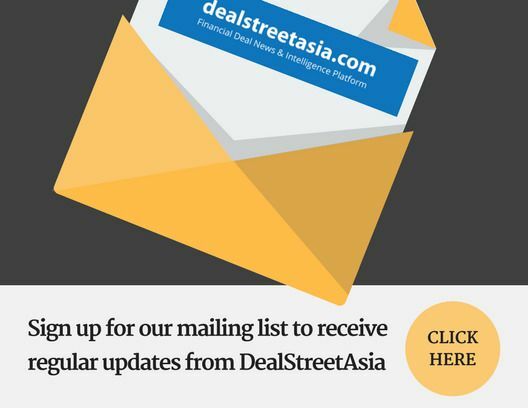 In an interaction with DEALSTREETASIA in late 2017, Kazuyoshi Mizukoshi, managing director of the International Investment Department of Daiwa PI Partners Co Ltd said the organisation is actively sourcing the next investment opportunities in the area of communications, finance and online business and consumer space. “Rather than looking at Singapore or Hong Kong that are already developed, we are much more focused on emerging countries like Myanmar and Vietnam. For us, it is more interesting,“ said Mizukoshi. Outside Myanmar, Daiwa PI Partners has equity portfolios in countries such as Vietnam, Indonesia, Taiwan and China. On a macro view, Daiwa PI Partners’ could invest up to $100 million per deal (and above upon consideration) mainly in Japan and other Asian countries for both equity and quasi equity investment. For debt, it can put in up to $100 million per deal, currently investing in Japan, U.K. and Australia. Daiwa PI Partners’ energy investment is only made in Japan. Daiwa PI Partners’ overseas portfolio includes firms like Noi Bai Cargo Terminal Service JSC from Vietnam, Original BioMedicals Co Ltd from Taiwan, Saratoga Investama, a principal private equity investor in Indonesia.